Dr. W. Edwards Deming used to warn against replacing intrinsic motivation with extrinsic rewards and incentives. Brian Joiner (author of Fourth Generation Management), who worked with Deming, warned that setting targets and quotas can lead to three things: improving the system, distorting the system, or distorting the numbers. It's often easier to distort the system or the numbers than it is to actually improve. We've seen that happen (gaming the numbers) in situations ranging from the VA waiting time scandal and the recent Wells Fargo scandal. It's predictable human behavior for managers to try to entice people to perform better through promises of rewards or threats of punishment. It's also predictable human behavior that employees will take steps to distort the system or fudge the numbers when they fear for their jobs or want to collect a bonus. This isn't a problem with bad employees… it's a problem with leaders not understanding psychology and workplace dynamics. In more recent years, Daniel Pink has warned about extrinsic rewards, as has Alfie Kohn. You can listen to my podcasts with Pink and with Kohn, if you like. Many would perhaps attribute the idea of rewards and punishment with a Capitalist mindset. In a Capitalist system, the assumption is that people like money and they will do what you want to get more money. Or, there's the reality that people need to keep a job and their paycheck, so they'll respond to threats. I recently saw a documentary called “North Korea: The Great Illusion” (available for free through Amazon Prime). I don't have any great illusions about North Korea. It's a brutal, authoritarian, Communist dictatorship. But, what surprised me was a discussion of incentives and rewards for border guards. Even in a Communist country, the leaders fall back on incentives and rewards. At the VA, they had a target of 14 days waiting time for appointments that the Office of the Inspector General called “unrealistic.” Hence, the cheating and gaming occurred. I wonder what dysfunction those targets create in North Korea? Secondly, a North Korean border guard talked about incentives for catching people trying to escape the country. It's an awful job, but you'd think there would be people with intrinsic motivation to do a good job in a role like that, for the sense of a “job well done” or for better political treatment. Catch one, you get a medal. Catch five in a year, you get a big award like a trip back to see your family. It wouldn't be surprising to me if a North Korean border guard were to start cheating and “catching” people who weren't really escaping. So as I was thinking about this post, I was at Costco, a decidedly American capitalist place to be. I love Costco… but I'm not buying typically large batch sizes as they're known to offer, though. That was actually a very helpful suggestion, as my wife and I are planning to do cards and I hadn't yet purchased stamps yet. The “Current Date” says 11/26, but it was 11/28 when I was there and took this photo. How often do we see outdated visuals and whiteboards in different workplaces, including hospitals? The “goal” was 57, but they had only sold 28 (or the board hadn't been updated since). They didn't hit the goal. Was it “unrealistic?” I wonder how much natural variation there is in the shoppers who say “yes” to buying stamps if the cashiers ask every shopper. Are the margins on stamps that great for Costco that they'd push this as opposed to other things the cashier could upsell you on? I wonder if Carmela (I forget my cashier's name) asks more shoppers than the other cashiers? Does she work more hours? Why is her performance so much higher than the others? 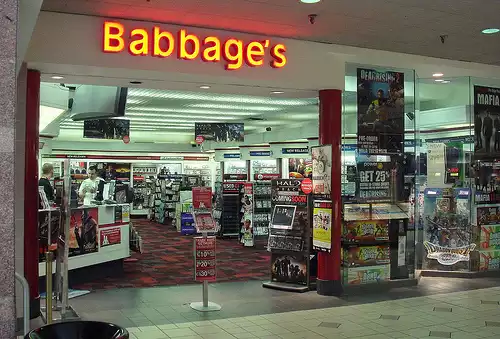 When I worked retail during high school and college (at the video game and software store Babbage's), I remember one holiday season when the store manager started a sales incentive contest amongst the part-time salespeople. The goal was selling the most Nintendo systems and Sega systems. I think the contest was created by the district manager. I don't know what incentives the store manager or district manager were being offered. I knew it was my job to help sell video game systems. If people asked about them, I tried to give them information and help them pick the “right system” for them. I couldn't do much to make people buy a $200 video game system. It's not like adding on a few stamps to a Costco purchase. I forget what the incentive or prize was. That's how unimportant it was to me. I remember talking with my co-workers about how it was pretty random to see which salespeople would happen to help the customers who were coming into the store to buy these systems. Were we supposed to fight over customers? Compete with each other? I don't remember if the goal was “unrealistic.” That would have been demoralizing, I guess. It probably wasn't a goal as much as it was creating competition within a team. We were all paid an hourly rate, with no commission, by the way, and we were fine with that. We weren't sure what the point of the contest was. Somebody got a gift certificate, I guess. I don't remember it affecting our motivation for providing customer service. But, I guess I'll come back to that main point… in a Communist system or a Capitalist system, managers and leaders sure like throwing incentives at people. How often do those being incentivized roll their eyes or not care? Easier said than done? Too vague of a direction from the late Dr. Deming? Great topic and writing, as Usual Mark. I guess we have been taught to implement or use extrinsic incentives to motivate people on the long run. We believe that by setting unrealistic targets and then offering some incentive, will do the trick. We believe that if a worker doesn´t achieve the target, is because he must be lazy or dumb. When in reality all this is showing is how unstable and how much variation our processes and systems exhibit. Thanks for sharing this. Interesting to see that in US, North Korea and other countries (Mexico where I’m located) leaders have the same beliefs and management practices. It’s easy to sit in an office and set arbitrary goals… and then blame, punish, or harass people who aren’t hitting them. Lots of good thoughts there about how a connection to purpose is the most important thing and how big bonuses can backfire. Great article! This confirms the value of employee engagement. Are there incentives that are working, that were created among employees and ultimately resulted in a positive outcome? It’s now a “Stamp War” at Costco. That doesn’t sound good.